I am joining again with other bloggers writing on the topic of giftedness to discuss issues surrounding gifted kids and adults, and gifted education. The topic for this month is Twice-Exceptional Children. I don’t consider myself qualified to write about twice exceptional children. Smarty is a typically developing child, and I didn’t experience first hand an excruciating pain and exquisite pleasure of raising a child who has to overcome major obstacles to leverage his or her gifts. Watching one of Smarty’s classmates gave me a whole new appreciation for the challenges both these kids and their parents go through, and I reached out to my bloggy friend Debbie who is raising a twice exceptional child to share her experiences. Debbie blogs at Children Grow Children Explore Children Learn. Natalie asked me quite awhile ago if I would do this guest post for her. I was honored to share my insight. I am the homeschooling mother of an eight year old who is twice exceptional. She is very gifted and a self taught reader, who has a passion for science and animals. She is also autistic, which has brought many challenges in her life. 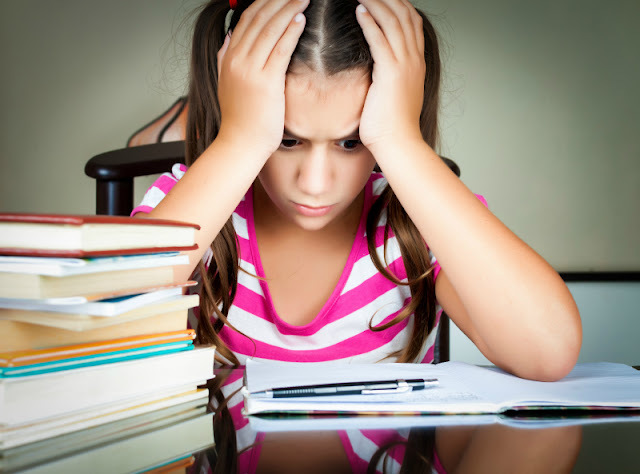 Behavioral issues, anxieties, dysgraphia, and struggles with social skills. Now that we have a better understanding of the puzzle pieces that make her who she is, we are learning many techniques and ways of helping to meet her desire to learn as well as her weaknesses. What exactly does "twice exceptional" mean? I think the easiest way to define this is to understand that a child can be both gifted, or very bright, but at the same time he or she can have struggles, learning problems, or behavioral issues. Many children who fall in this category are autistic. Asperger children fit this definition very well. If you have ever watched “The Big Bang Theory”, Sheldon would be a perfect picture of a twice exceptional adult. While he is very intelligent, we see him move through his days with all sorts of obstacles, OCD, a lack of true understanding of the basic things about life. Now I know his character is a very extreme example of a twice exceptional person but when you really watch him and begin to see his character for who he is supposed to be, you realize that this character has some problems, though he is as smart as they come. How then do we help a child like this? Their mind spins out of control with such a desire to learn, know everything there is to know about topics that interest them. Their brains do not shut off, leaving them sometimes not able to sleep at night. They may be very strong readers, and bury themselves in every book they can get their hands on, or they might not be able to stay off the computer, researching, coding, playing games or just consumed with how a computer works. At the same time they are having struggles, maybe they can’t write, maybe they struggle in basic math, or lack social skills. They have a real struggle - a very internal struggle that they deal with every day. The greatest challenge in educating twice exceptional children is to understand that we have to meet both ends of their needs. We have to feed their desire for knowledge, we have to continue to allow them to expand their knowledge. At the same time we can not forget their struggles. We have to work hard on encouraging them to practice and try these harder areas. We may find we are all over the board with curriculum, 6th grade reading and 1st grade math or Kindergarten writing. This why I believe that homeschooling works well for twice exceptional kids - they are unique and they need uniqueness in their environment to meet all their needs. Social skills are a challenge, all too often these children struggle socially. They are very misunderstood. Just like the gifted child who needs to learn when it is appropriate to share their knowledge, for the child who has difficulties in areas they may be slower to understand how to have appropriate relationships. This creates a lot of anxiety and stress for not only the child but the parent. I think it is important to find smaller groups or a few children who are interested in the same things, this provides an atmosphere of comfort. We like to mirror appropriate behavior, through the way we introduce ourselves to new friends, as well as how we show respect, friendship and interaction. Living with and teaching a twice exceptional child is not easy. it can be draining at times. You have to make sure that every aspect of their needs are being met. Just remember to meet them where they are, provide stronger material to meet their strengths and plenty of support to help with their difficulties. My greatest advice is to love them, be patient, be a role model and give them everything they need to grow into the best adult they can be. Have you had experience with twice exceptional children and what did you learn? This post was written as part of Hoagies Gifted Blog Hop series. Follow Hoagies Gifted on Facebook and join the conversation on twice exceptional kids. I have not had personal experience as a parent, but have run into them in Sunday School from time to time. It is always a challenge. "Be patient. Be a role model." Great advice for parents and teachers of 2E kids! Great advice! In the past, some children may have been told they are "bad" for acting out. But with greater understanding and knowledge, there is more compassion. Many gifted kids are wired differently so part of that come with quirks. Things that are hard for others may come easily while things that are easier for most people may be hard. Thanks for showing a glimpse into the world of a 2e child with autism. With a student with moderate autism in my school, I start to see how his teachers do their best to handle him. He is a very polite boy who greets me every time he sees me, and as I observe him, I see a lot of struggles he go through. I am a firm believer that we can talk until we are blue in the face, these kids need to see actions not hear words. This is where there is so much misunderstanding! These children don't mean to misbehave, but the world becomes too intense for them. People don't get that. Nor do they understand a gifted child's desire to continuously be learning. This is a great example! Most children with Autism are very sometimes too overly friendly. That is why they are so lovable. There are no "bad" children. They either have physical problems that are bigger than they can handle in the moment (even just being hungry is that kind of a problem), or emotional problems that are too big for them to handle. All children (and adults) gain strength from a base of security. Our job as parents/teachers/neighbors is to give them space where they are appreciated for who they are, and to help them see who they can become. I believe I would be a 2E, although when I was growing up in the early-to-mid-1980s, this label didn't exist. I was identified as LD in math, but was at a college level in everything else by fifth grade. The administration, and my parents, did not what to make of me. I was subjected to numerous "evaluations," was monitored and tested and was bounced around from class to class. I was called lazy, careless and told by my teachers I wouldn't graduate from high school, let alone college. I did both. If you have a 2E kid, please make sure to focus on their STRENGTHS, as well as helping with their weakness. I feel my strengths (writing and creative thinking) were completely overlooked in the rush to "fix" my math problems, and were never nurtured. Nor was I encouraged by any of my teachers. Great wisdom! Love the way your mom put it! Wish more could see children this way. I relate to your comment so well! I had teachers accuse me of cheating because my work was not grade level but exceeded the expectations. Yet I had my struggles too. I almost lost my desire for education but because of a few teachers who encouraged me in both areas my strengths and weaknesses, played a huge role in my finishing school, going on to college, and become involved a continuous learner.